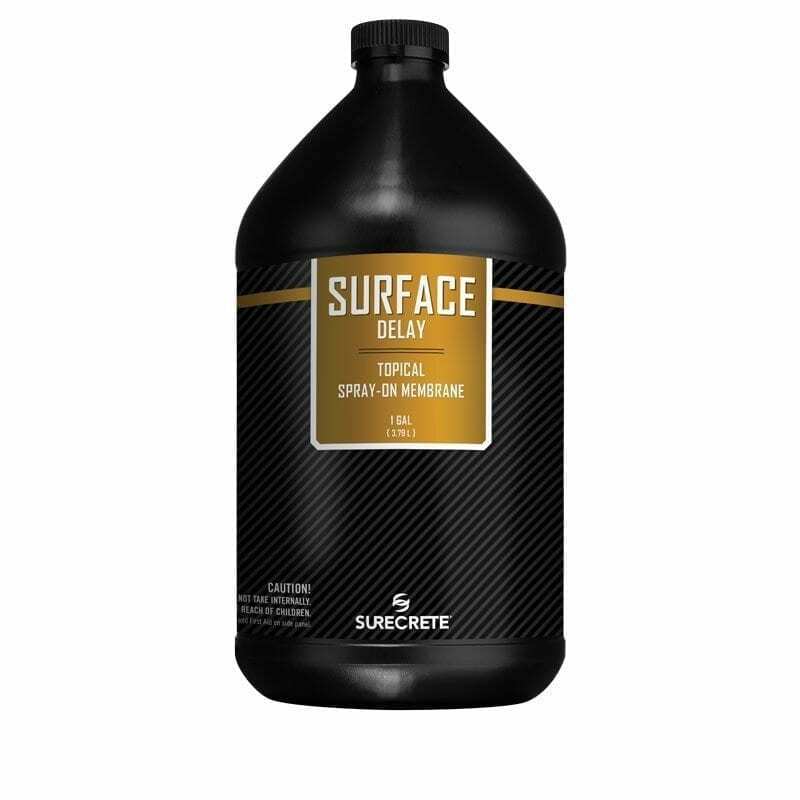 SureCrete’s concrete surface delay is a film forming liquid that helps keep the cream finish of the surface of overlays or newly poured concrete surface moist for slowing the cure time. 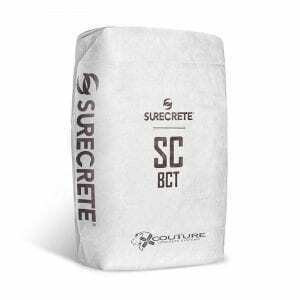 SureCrete’s concrete surface delay is a transparent, soapy odor, non-hazardous, concentrated, film-forming solution that is designed to retard the initial evaporation of water from new concrete or stamp overlay during finishing operations. Surface Delay is especially useful for conditions that include high wind, low humidity, high temperature or any combination. Concrete can be placed with a lower slump, even under rapid drying conditions, helping to reduce related shrinkage cracking or surface checking by slowing initial evaporation of bleed water. When you need a little more time to work on a concrete stamping project, the concrete surface delay will help you do just that. Sometimes a custom carving design or an intricate stamping pattern is more difficult and time-consuming to accomplish, or possibly weather conditions are simply not behaving as expected. When this is the case, extra time may be necessary to complete a project. 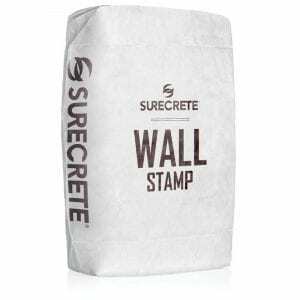 If you’re a homeowner working with a stamp overlay product for the first time and need a bit more time to get your desired finished product done, just apply a little surface delay to the wet surface to keep your surface workable. How Do You Apply SureCrete’s Concrete Surface Delay concrete retarding agent? Dilute Surface Delay with 9 parts water to 1 part product. Place product in the traditional manner, and after surface has been leveled and before product has become too dry to carve or stamp, spray Surface Delay onto the surface evenly. Surface Delay can be re-applied between finishing operations under severe conditions. 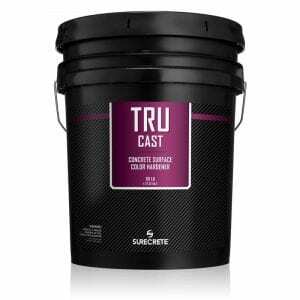 Question: When do I apply Concrete Surface Delay? Answer: After you’ve placed and leveled out the product, but before it has set up too far to be carved or stamped. Question: Should I trowel Concrete Surface Delay into the surface? Answer: Yes. It does not need to be removed once applied and should be worked into the surface as you finish. Question: Can I use Concrete Surface Delay on freshly poured concrete? Answer: Yes. The same principles apply to freshly poured ready-mix concrete as do stamp concrete applications.